The Renegade’s TruFlame Technology ensures maximum flames and ember glow with minimum emissions. An attractive clean-face design integrates the barrier screen flush with the fireplace front – allowing you to install tile, brick, or other non-combustible materials right up to the fireplace opening for a clean, organic installation. Or choose one of the optional decorative fronts, doors, or frames to tailor your new fireplace with the look that suits your décor. A variety of liners are available to further customize the Renegade– including Traditional Stone, Cottage Brick, or reflective Black Porcelain. Add the available hand-forged andirons to complete the look. 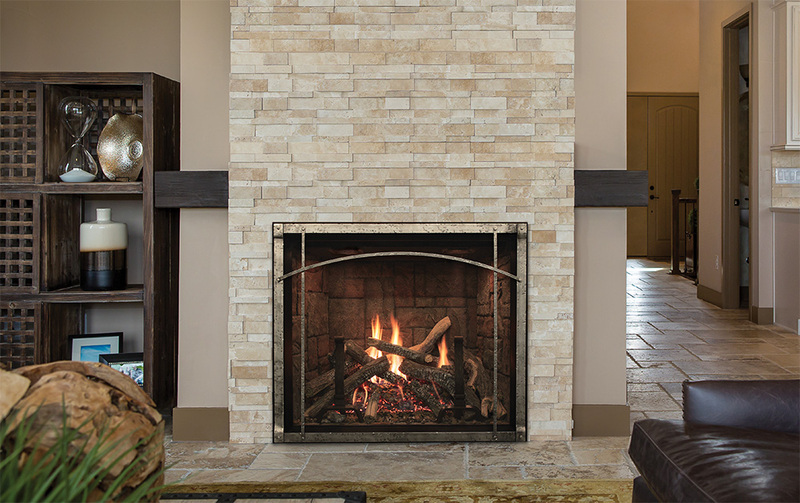 The Renegade fireplace is available in two sizes– 40-inch or 36-inch.